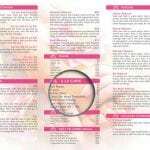 A good brochure design is very important in order to attract customers. 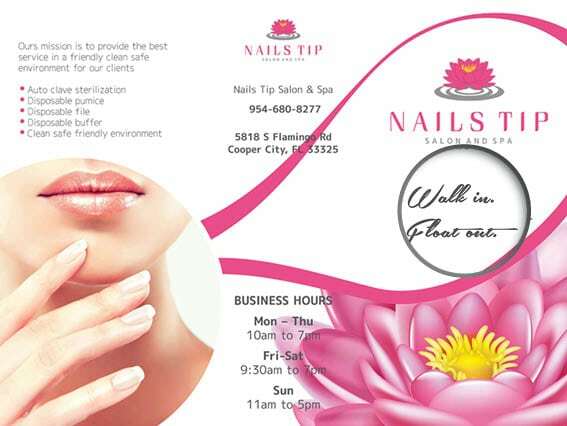 Aside from the business card design, Nails Tip Salon & Spa also commissioned us to create them a brochure. 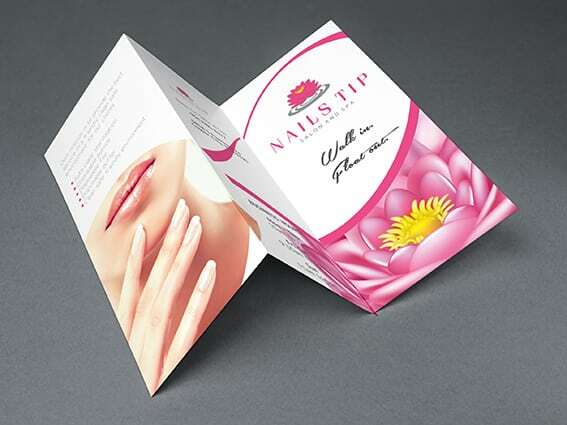 The result is this eye-catching brochure design that will surely make you want to read it once you see it. 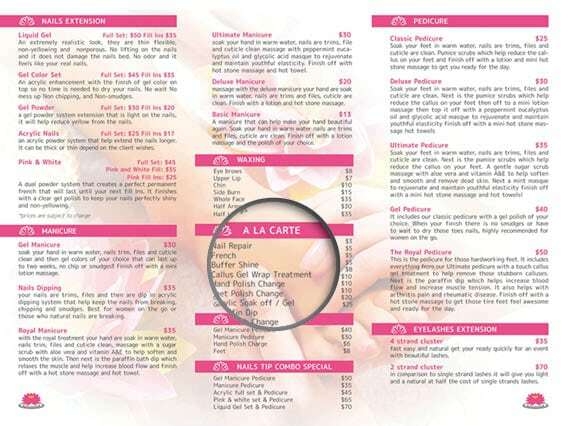 The brochure features lotus flowers which you can see in the company’s logos as well as information about the salon & spa, their services, opening hours and their contact details. 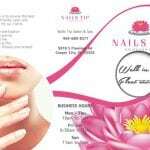 At the last page of the brochure design is a photo that showcases clean and well-polished nails which is the aim of Nails Tip Salon & Spa for every customer.